"Goodyear Eagle #1 tires live up to the Eagle reputation with injected NASCAR style. 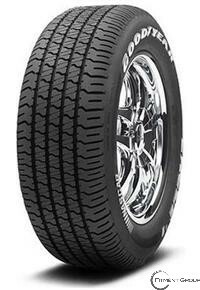 Featuring solid shoulder tread block elements for high-speed cornering control and superior handling, the tire lives up to the NASCAR logo it carries. The Goodyear Eagle #1 performance tire is made with wear-resistant tread, deep circumferential grooves and hundreds of biting edges to give powerful traction on both dry and wet surfaces. - Precision cornering and aggressive handling.